Photographs to depict areas of improvements growth and developments- Coloured and monochrome entries are welcome. 1. The entry forms for the competition are available free of cost online on the website of Chandigarh Administration, Municipal Corporation, Chandigarh as well as from the nearest Sampark Centres on payment of nominal charge of Rs.10/- per page print out. 2. Entry in prescribed proforma with photographs will only be accepted. 3. Maximum number of photographs in each eligible category is limited to Four. 4. The standard size for the photographs should be 12”x18” for professional category and 8”x12” for Amateur Category (without mounting). 5. Maximum 4 Nos. photographs can be submitted with one entry. 6. The participants should not mention his name on photographs. 7. The entry form complete in all respects alongwith photographs and CD may be submitted in the office of Executive Engineer, M.C.P.H. Division. No. 2, Sector -11, Chandigarh between 10.00 am to 5.00 pm on all days from 07.02.2019. ** Consolation prizes 3 Nos. for each category amounting Rs. 2500/-each for Professional and Amateur category respectively will be awarded. 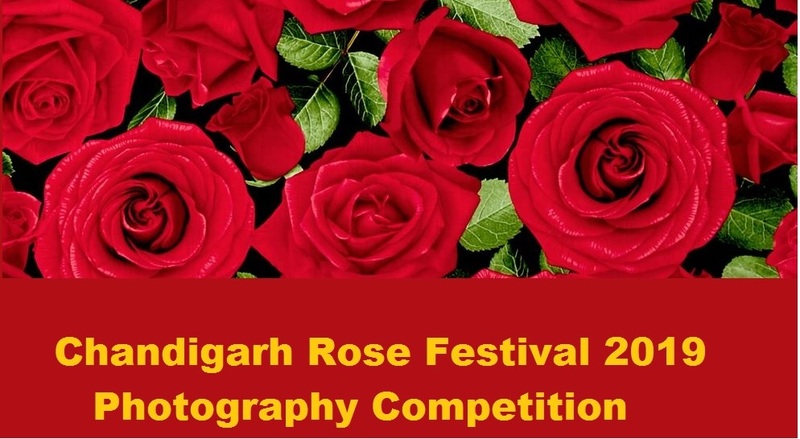 ** All prizes winning entries alongwith some other selected entries will be displayed during the Rose Festival. The participants are required to collect / take back their photographs (except prize winning entries) by 12th of March 2019. Thereafter Chandigarh Administration and Municipal Corporation will not be responsible for any damage / loss of photographs. Photographs not collected within the prescribed time limit will become the property of Chandigarh Administration/Municipal Corporation, Chandigarh and shall be free to use the same for its promotional activities or as per its discretion. 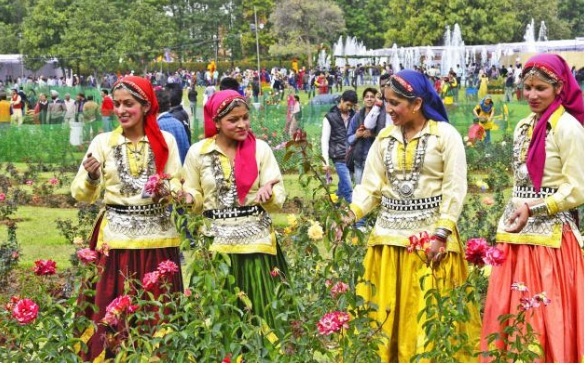 Rose Festival of Chandigarh is one of the biggest rose shows held in India. The venue is the famous Zakir Hussein Rose Garden situated in the city of Chandigarh. The garden has over 50,000 rose plants and bushes of more than 825 varieties, delivering a spectacular visual treat. The Rose Festival is an annual and much eagerly-awaited event. The garden is open to visitors throughout the year but the festival is undoubtedly the best time to visit the place to enjoy the sight of colorful display of the largest variety of roses in one place. Apart from the spectacular display of roses, the festival also hosts numerous cultural programs. Visitors can enjoy folk dances, classical dance performances, musical concerts, and exhibitions by locals. There are fun events for all age groups. Foodies can enjoy the best of local and Indian delicacies at the numerous food stalls lined at a place nearby the Rose Garden. The event sees many types of competitions such as Rose Prince and Princess, Brass and Pipe Band competition, traditional dance competitions and drawing competitions for children. Visitors can also register for participating in quiz competitions, kite flying, photography, spot painting, song fest, and many other events. Audiences are also entertained by variety programs such as comedy shows and short plays. There is also a unique and exciting flower cutting and arrangement contest. The last date for the receipt of entries is 13.02.2019 upto 5:00 Pm.